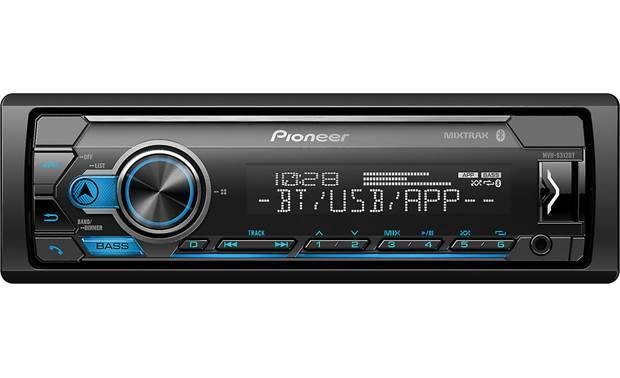 In a nutshell: If you don't remember the last time you played a CD in your car, a digital media receiver might be a smart choice for your new car stereo. This article will give you the lowdown on these "mechless" receivers and help you find the right DMR for your ride. When you're ready to start shopping, use our vehicle selector to find the digital media receiver that will fit your car or truck. 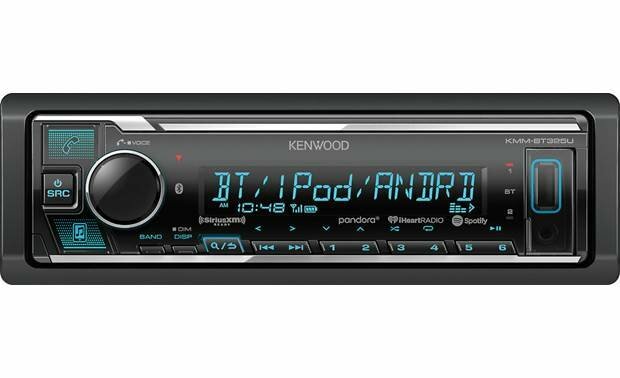 Buying a new in-dash receiver for your car used to revolve around a two basic choices: CD or cassette. But cassettes are a faded memory, and in today's age of downloaded music, you might not even own CDs anymore. This fundamental change in how we listen to music has spawned a new category of in-dash player — the digital media receiver. What's a digital media receiver? Simply put, a digital media receiver (sometimes referred to as a "mechless" receiver) is a car stereo without a built-in CD player. 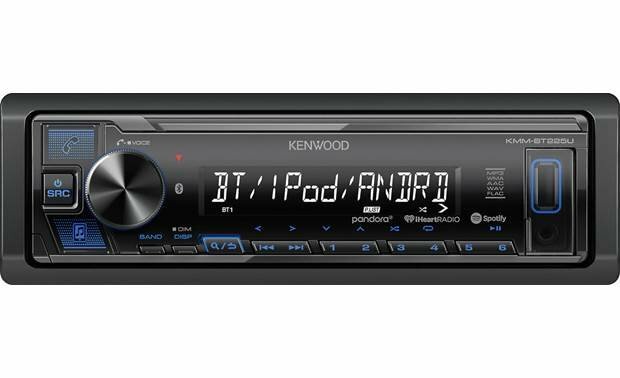 Today's receivers are loaded with options like USB ports, SD card slots, auxiliary inputs, or dedicated iPod® connections. Most models support manufacturer-specific connections for other peripherals, like satellite radio tuners, as well. With all those source options to choose from, bringing a CD to the car is unnecessary. Start with the obvious — pick a model that fits in your car. Enter your vehicle information in our vehicle selector tool. This will filter out the options that don't fit in your car. Plus, we'll let you know about any necessary installation kits and special adapters you may need — which we offer at a discount when you buy a receiver from us. What type of inputs do you need? Answering this question is the next step in selecting the right digital media receiver. Here's a quick rundown of what to look for. 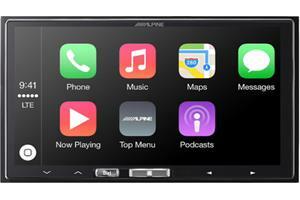 iPod® and iPhone® controls: Digital media receivers are ideal for iPod and iPhone users. They're usually designed to make it easy to navigate your device's files, whether by hand or by Siri Hands-Free voice commands. Some models display album art as well as song titles and folder names. USB inputs: USB thumb drives are a great way to store lots of music. Note where the USB input(s) are — front-panel or on a rear cable — so they'll match up to how you want to configure your system. Some models allow Android™ control through the USB input — be sure to check "Details" when you explore receivers on our website. SD card slots: Some digital media receivers come with an SD card slot. If you dig the small size and portability of SD cards, consider looking for this feature. Auxiliary inputs: A standard minijack auxiliary input is simple to use and nearly universal. They're great for plug-and-play satellite radios, or as an extra input for another player. Be sure to check location — if you want the most convenience, go for a front-panel input. For a cleaner look, choose one that connects to the rear of the receiver. Bluetooth® connectivity: When we think of Bluetooth, we usually think of hands-free calling with mobile phones. But most phones, and some media players, can stream stereo music wirelessly to receivers with Bluetooth capabilities. 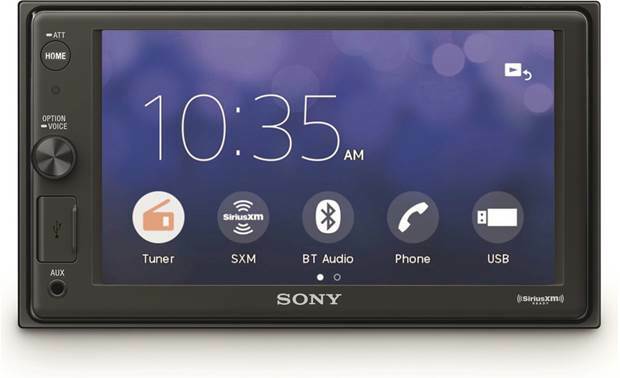 You'll find Bluetooth built in to some receivers, and as an add-on option with others. Are you a "set it and forget it" listener or are you a "tweaker"? 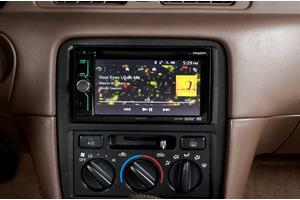 Listening options are just one of the things you need to consider when shopping for a car stereo. The other pieces of the stereo are the internal power and preamp sound processing. Sound controls: Controls beyond basic bass and treble adjustments let you tailor the music to your car's acoustics. Even if you are the "set it and forget it" type, look for a stereo with treble, bass, and midrange controls — the ability to adjust the midrange will improve the sound of your music. On the other hand, if you're a "tweaker" who likes to experiment with the sound adjustments, look for a model with a more sophisticated equalizer (such as a parametric EQ), with digital signal processing (DSP), or with digital time correction — these types of sound controls give you total control over the effect of the acoustics in your vehicle. What else should you consider in a digital media receiver? In addition to the types of inputs and connections listed above, consider these features and factors when making your choice. HD Radio™ reception: Radio stations broadcasting digital signals are becoming more and more prevalent. 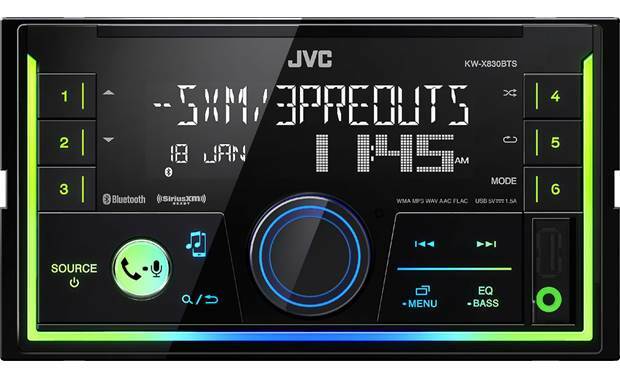 To gain the benefits of static-free reception and better sound quality, your stereo must have an HD Radio tuner built in. App mode: Some receivers can control apps, like Pandora® Internet radio, when connected to a smartphone via the USB or Bluetooth streaming. Your phone needs to have the apps installed. Android™ support: We're seeing more receivers capable of accessing music and apps on Android phones. Satellite radio: If you want to add satellite radio to your new car stereo, make sure the stereo you choose is "SiriusXM-ready." That means it can control an optional hideaway satellite radio tuner. Preamp outputs: Preamp outputs let you connect external amplifiers to power your speakers or a subwoofer. The number or outputs can vary, but you should have at least one set — the higher the output voltage rating, the cleaner the signal. If you know you will be adding a subwoofer, look for a model with a dedicated subwoofer output — this will allow you to adjust the subwoofer volume independently, rather than using the bass control. Display: For ease of use, you'll want a display that shows the song, album, and artist information without a lot of scrolling. Enhanced graphics make it easier to see the display at a glance and provide you with more information. 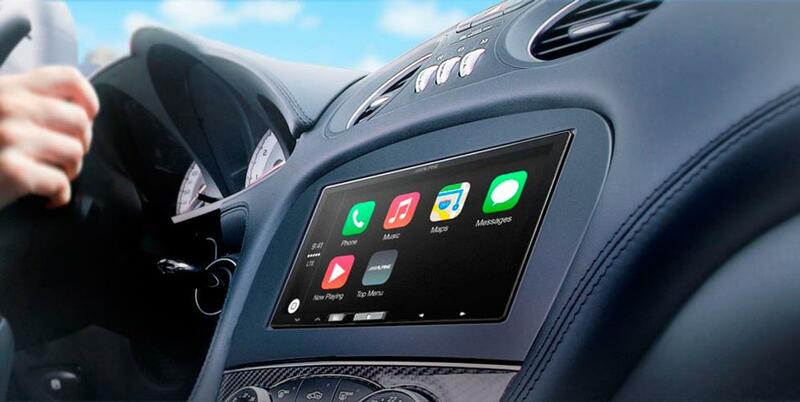 They also make it easier to control and adjust the stereo. And some displays let you select their color, for a better match to your dash lighting. 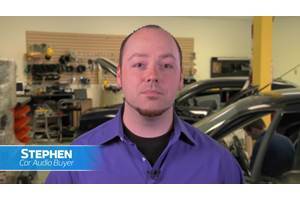 Why would I buy a higher-priced model? For many people, a lower-priced stereo will do everything they need. So why should you spend more? Well, because you get more! Higher-end digital media receivers offer cutting-edge technology and improved performance. 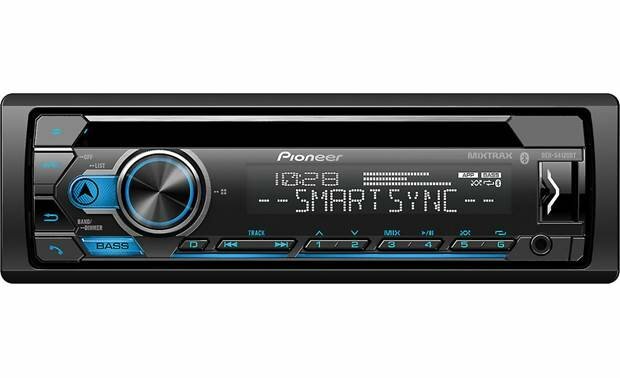 Better sound: Higher-priced stereos often feature improved processors and more flexible fine tuning. That means better sounding music for you, especially if you're upgrading the rest of your vehicle's audio system. Easier to use: Advanced controls make it easier to operate the stereo. 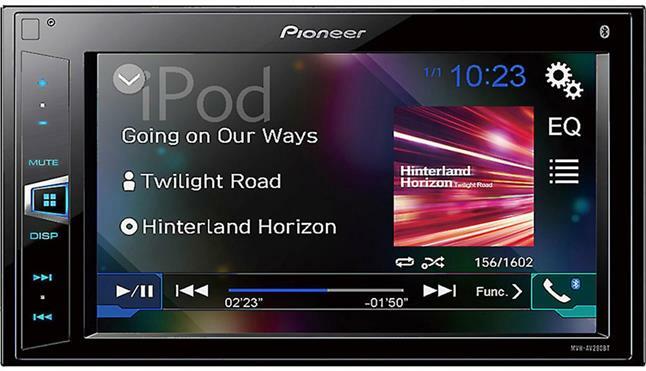 Touchscreen controls are among the most intuitive to use and give your stereo a futuristic feel. 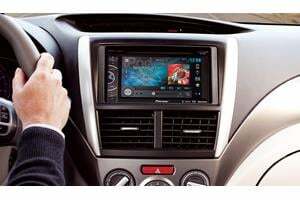 Video display: Speaking of touchscreens, they also give you the ability to play videos or maybe display the screen from your smartphone, which is especially handy when you're running a GPS app on your phone! "Wow" factor: Top-end stereos offer a more striking visual appearance — multicolor fluorescent displays, customizable graphics, and motorized faceplates, for example. You can get the installation parts, accessories, and tools you need at a deep discount when you buy any receiver from us. We include step-by-step instructions specific to your car, available for most vehicles, for free; for most vehicles, we also have the installation parts and accessories you'll need. A panel removal tool will make the installation easier in most cars and help prevent scratching your dash. The Posi-Products Car Stereo Connector Kit makes it easy to connect your car's wiring harness to your new car stereo. Want to continue using your steering wheel audio controls with the new stereo? You'll need a special adapter. Write down a list of the features you most want, then look over the selection of stereos that fit your car. Or just start browsing our digital media receivers to see the styles and options that are available. And don't hesitate to give us a call if you have any questions (1-888-955-6000). 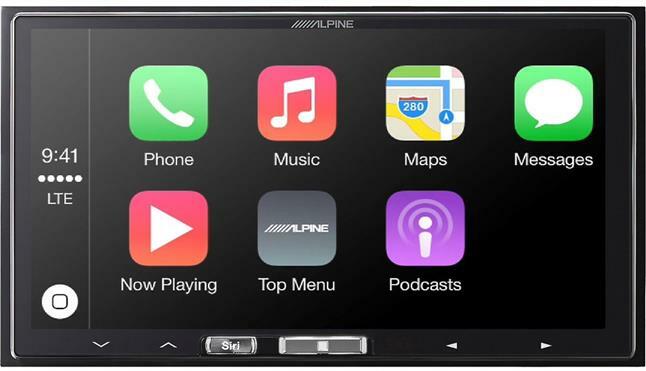 Before you know it, you'll be riding around enjoying your music library on the perfect digital media receiver. Says "some" receivers come with SD slots. Tried to find those, gave up. 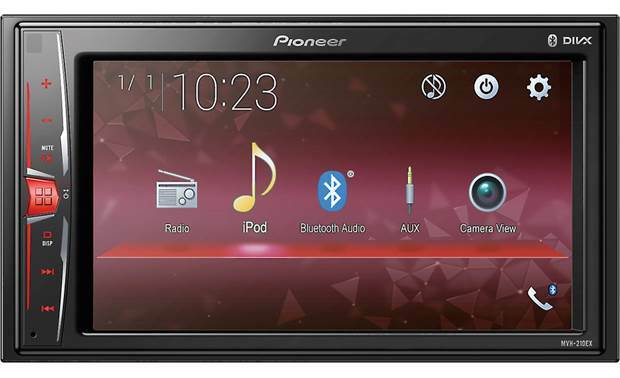 Rick, You can search for receivers with SD card inputs using the "sort" menu on the left-hand side of the car stereos category page. But in the meantime, I've sent your question to our sales team, and they'll be contacting you via email soon. For immediate help, you can contact them via phone or chat. Jesse, We can help you with that. I've sent your question to our sales team, and they'll be contacting you via email soon. For immediate help, you can contact them via phone or chat. Leonard, The quick answer is "It depends." The key is finding the one that works best for you, and the best way to figure that out is to have a conversation with an advisor. I've sent your question to our sales team, and they'll be contacting you via email soon. For immediate help, you can contact them via phone or chat. A disturbing trend I am seeing in mechless units is that there is no setting to keep the clock on top at all times (often, you have to press a button to check the time and the clock display goes away after two seconds). I think it would be helpful to have a "clock on top" filter. (I am aware of the "clock display" filter but it appears to include the "momentary clock display only" feature I described above). I just read the owner's manual for a couple of units and could not tell for sure that I would be able to keep the clock display on top of the unit when playing music. 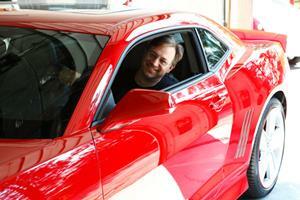 Michael, That's a pretty rare (and beautiful) vehicle, and we haven't been lucky enough to research one yet. From what I can see online, replacing the "big screen" receiver is probably quite a challenge. That said, if you give us a call and talk to one of our experts, we can probably suggest some ways to improve your stereo situation. I've sent your question to our sales team, and they'll be contacting you via email soon. For immediate help, you can contact them via phone or chat. Hey really looking to get a Touchscreen in-dash receiver. But with so many choices Im not sure what to buy. I just want to invest in a receiver once and have it fit into my 2010 corolla. What do you think are some good choices? Expensive and Non-expensive ones. My 2014 Escape came with a CD player so yes I use it but sparingly since I have recorded music on a USB drive. Some CD's are not available universally so I have to play them in the car. Kevin, In most cases, you will lose the factory mic when you replace the factory radio. As for your camera/receiver question, there really isn't a universal answer at the moment -- it depends on the car, the receiver you choose, etc. I'll forward this to our sales team, and they'll be contacting you via email. In the meantime, thanks for the question! Many of the new cars have two or more cameras. Do the after market radios support this. I don't see anything regarding cameras support in the descriptions? Also, cars may already have mics built in. Can they be used? Mitch, Since there's no CD player to worry about, digital media receivers are generally built on short chassis. But you'll want to measure things and probably talk to one of our advisors before you buy one. I've sent your question to our sales team, and they'll be contacting you via email soon. For immediate help, you can contact them via phone or chat. Good luck! Hello, is pioneer mvh 580 bs on short chassis? The reason I'm asking this is to determine if there will be room behind it for the convertor that's needed to connect to factory amp. I have a 1997 E420 Mercedes. Thank you. Looking for a DMR that supports FLAC and has a front USB port. DJ, Excellent choice! As for the speakers, I've sent your question to our sales team for the best answer. They'll be contacting you via email soon. For immediate help, you can contact them via phone or chat. Good luck! Well, I'm definitely with getting a Digital Media Receiver over a CD Player. 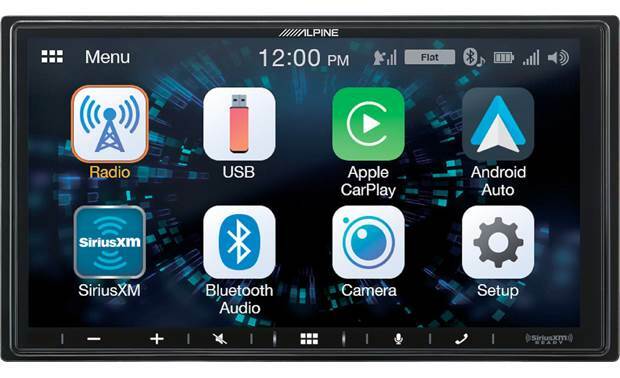 I'm eyeing the Alpine UTE-52BT. The Jetta is second hand, less expensive, and older. This restricts me from higher-end purchases. However, I won't restrict myself from a Digital Media Receiver. Going over necessary specifications I need an I-Pod, Cell Phone and Satellite Radio Ready Receiver; as well as a Sophisticated Equalizer. The Receiver also needs to be extremely fluorescent and fun based. Furthermore, I also plan to put Aftermarket Speakers in the Jetta but no Subwoofers. What do you think? Marshall, Sounds like you're building a pretty nifty system. As for the sub, I've sent your question to our sales team for the best answer. They'll be contacting you via email soon. For immediate help, you can contact them via phone or chat. Hi I'm a crutchfield customer, have already installed complete Pioneer FH-X720BT Radio with Kicker speakers in the door and behind in overhead of headrest. Regular cab 2013 Chevy, looking at your Sound Ordance Amplfied subwoofer model 8" or 10" model. Would the Sound Ordance connect with the Pioneer for a on and off activation. Phil: we sent your question to our sales team for the best answer. They'll be contacting you via email soon. For immediate help, you can contact them via phone or chat.